Objective News Report brings you an update on the current state of the Electoral College. 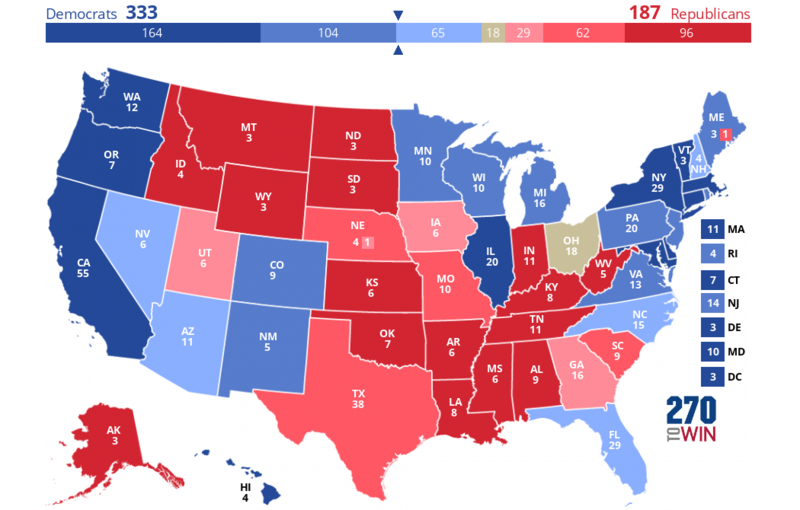 Our map is based on polls, demographic data, and historical voting trends. 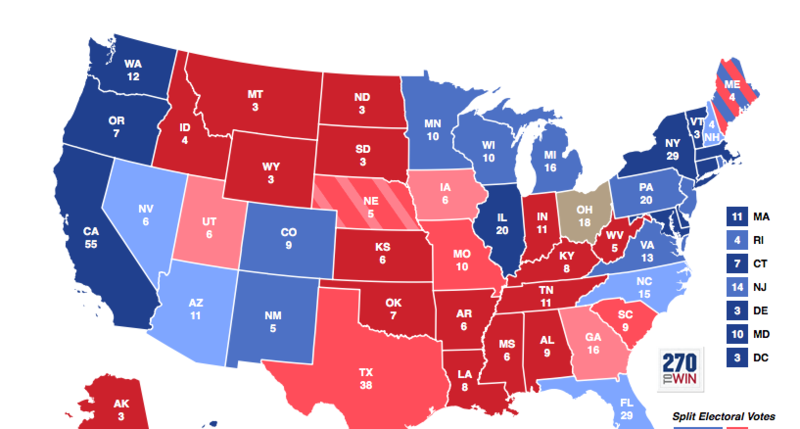 Currently, our map shows Hillary Clinton defeating Donald Trump 333 electoral votes to 187 electoral votes, with Ohio’s 18 electoral votes up for grabs. 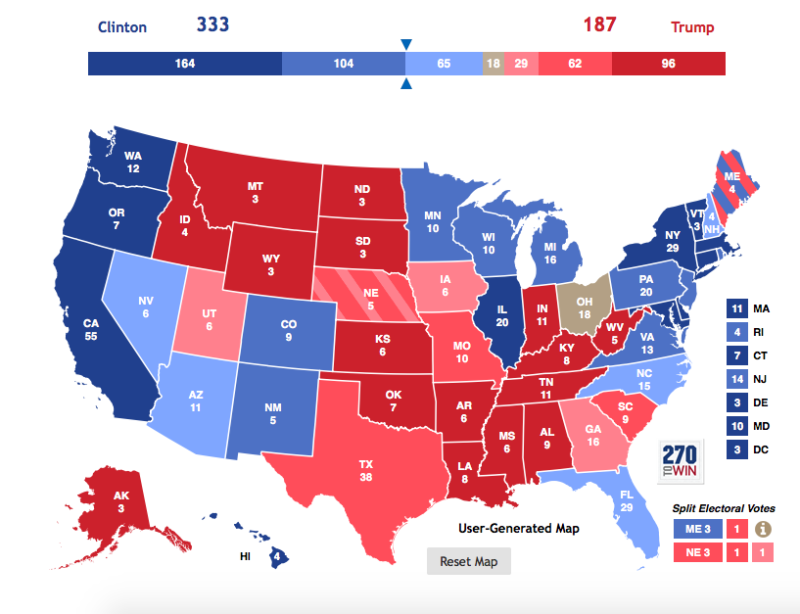 Hillary Clinton’s lead in multiple swing states leaves Donald Trump with a lot of ground to make up over the next two and a half weeks. Hillary Clinton is solidifying support in major battleground states such Florida, Nevada, and North Carolina. Arizona has flipped towards favoring Clinton, due in large part to her overwhelming support among Latinos. Donald Trump is maintaining support in Georgia, Iowa, and Missouri. Third party candidate Evan McMullin is surging in Utah and has a legitimate shot of winning the state.